Rate this Article Playing video games has been a favorite pastime for many people, but not many people know that strategy-based video games are actually good for your brain. Playing video games has been a favorite past time for many people and has been a very good time consumer for most but Strategy-based video games are actually good for your brain. Researches have shown that gamers benefit from their hobby because it seems to improve brain agility and other benefits. Playing massively multiplayer online real time strategy games or MMORTS usually involves unit creation, resource gathering and warfare. There would be different variants of the basic elements of an MMORTS but these three seem to give you the basic idea. Unit creation often involves creation of units that would have their own strengths and weakness, it would a challenge at first since you wouldn’t know what units your opponent might have which a player must react to which might involve a player switching out units depending on what an opponent might deploy. Resource gathering, on the other hand, will train players how manage their resources as resources will often take time be acquired and as well as teaching players to which resource or item to prioritize. Warfare in these types of games would happen in real time, and there is a great deal of strategy involved. Players will need to learn how to adapt quickly to certain situations and as well what moves to take and which units to prioritize. More often than not, games are won by a split second difference. 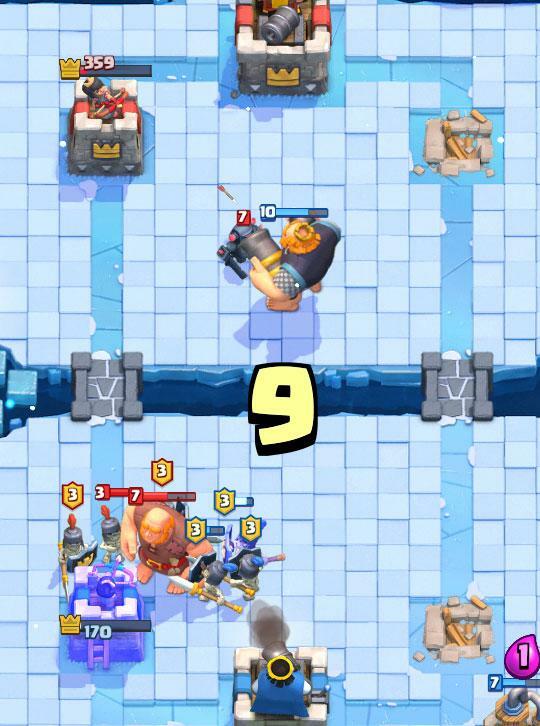 For example, in Clash Royale, you might have a close match and the decision to continue attacking or to launch defensive units may be give you a glorious victory or a frustrating defeat. The best part about Online Strategy Games is the competition; you will always be able to compete against players from different parts of the world and there will always be new strategies that can be developed so you will able to improve constantly. As there are different strategies that can be formulated, players will be constantly trained to think critically. There would be different unit combinations that and attack strategies to be explored, so gamers will also be trained to think outside the box. The brain, just like another muscle, needs to be constantly trained in order to be healthier; online strategy games train our brains to have improved strategic planning and more attention to detail. There are great amounts of strategies that we can encounter, and we learn new strategies, players tend to have improved memory and focus as it plays key roles in these types of games. Often times, players would need to react to certain moves or strategies played out by opponents. These would require a great deal of problem-solving. Problem-solving has been known to improve brain function, and as video games require the brain to constantly learn, playing the right kind of games proves to be beneficial in the long run. These games also help foster social interaction; part of what makes online games popular is the social aspect of it. Players will get to interact with other players from around the globe, they may also need to learn to work together in order to achieve a common goal. It may be to destroy the opponent’s nexus like in Multiplayer Online Battle Arenas like League of legends or forging valuable alliances in order to gain valuable resources like in most city-building strategy games. Joining guilds or clans would also offer good online interaction which would give players a chance to develop both casual and meaningful relationships. Players may choose to keep connected with the game’s online community and they may even learn and share strategies and as well chat with teammates or clan mates which adds a higher level of enjoyment to the game and as well as creating a sense of camaraderie. Players often find that partnering up with someone to overcome a difficult challenge through personal experience and know-how can be as satisfying online as it is in the real world. Playing online strategy games gives a lot benefits aside from the enjoyment that we get from playing it. Although there are different sub genres of online strategy games, all would require us to learn the key mechanics of the game which would us boost memory and develop cognitive skills. Player would tend to be more attentive to detail and have proven to have developed good strategic planning that they can also apply in real life. We can learn many skills from playing games but it would be up to us how we can apply it but all in all, online strategy games have proven to be good for you.